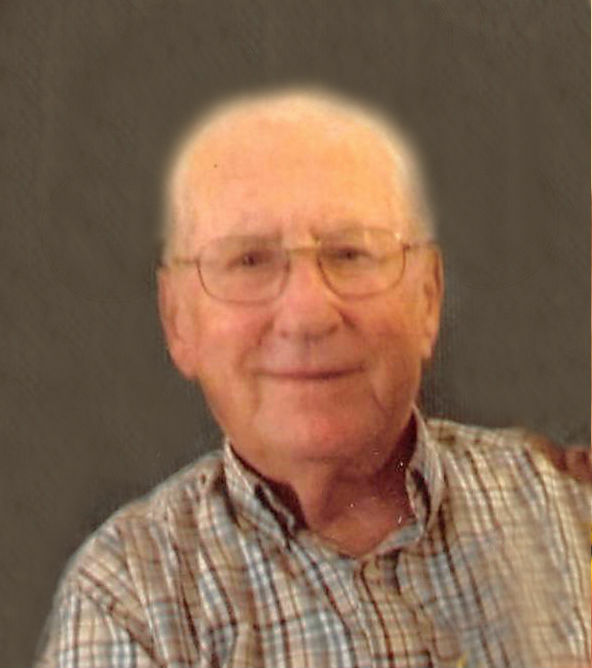 Grady Clarence Ramsey, age 96, passed peacefully Friday, March 22, 2019 at Brian Center of Lincolnton. He was born May 11, 1922 in Gaston County to the late Forest and Blanche Beam Ramsey. Mr. Ramsey was a member of St. Mark’s Lutheran Church. He retired after 50 years from Reeves Brothers. Grady loved to be out working in his yard and gardening. He grew the best tomatoes around. He was also an avid Carolina Tarheels fan. In addition to his parents, he was preceded in death by his wife, Ellen Susan Young Ramsey; and sisters, Vada Wiseman, Ruth Huffstetler, and Mabel Carpenter. Survivors include his sons, Jim Ramsey and wife, Ann of Lincolnton and Larry Ramsey and wife, Shirley of Marion; daughter, Sue Ellen Ramsey of Lincolnton; granddaughters, Leslie Ramsey Kazee of Marion, Jennifer Ramsey Shaver of Colorado, Emily Ramsey Sippel of Chicago, and Lara Ramsey of Chicago; and great grandchildren, Aikman Kazee, Landry Kazee, George Sippel, and Maxine Sippel. Funeral services will be held Tuesday, March 26, 2019 at 2:00 PM at St. Mark’s Lutheran Church with Rev. Jonathan Gantt officiating. Burial will follow in the church cemetery. The family will receive friends Tuesday from 1:00 to 1:45 PM prior to the service in the church. The family would like to extend a special thank you to the staff of Brian Center for their special and loving care shown to Mr. Ramsey and his family. Memorials may be made to St. Mark’s Lutheran Church, 1203 St Marks Church Rd, Cherryville, NC 28021. "Providing Service to Those Who Expect the Best"